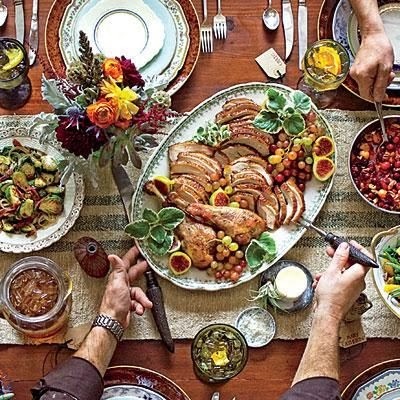 THE FINAL CHAPTERS: HOW TO SURVIVE THE HOLIDAYS--THE MENU! With the holidays comes food--our entire nation has a preoccupation with food. As we are eating one meal--we are asking what the next meal's menu will be. So many moms show their love by the meals they prepare for their loved ones. The family I grew up in for many reasons did not place the normal importance on eating. We ate to survive, not survived to eat. I learned to love to cook and grew to relish the resulting product as an adult. At some point as my mother aged, the responsibility of the holiday meals fell on my shoulders. 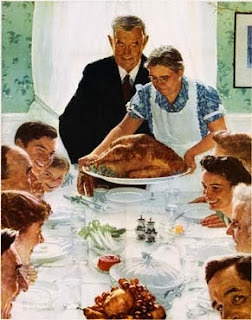 I loved cooking the holiday meals, sitting as a family--and with friends enjoying the delicious food and most important the wonderful companionship. Thanksgiving was shared with life long friends and the menu never varied. Christmas was a different story--I loved varying the menu from year to year--it was always delicious. The first year alone--I did not decorate--and I did not cook---and visited #1 son and family and they provided the food. I have very little memory of that Christmas--again God's grace. There was a void in my life that year in many ways. I was trying to survive the year of first's. Last year I went to Austin and we all cooked together. It was great fun and delicious---traditional Turkey day food. Last year's Christmas is a blur of 3 children--a brand new baby--cooking-washing-cleaning-diapers---I am SURE we ate-but was so busy that I cannot tell you what we ate. 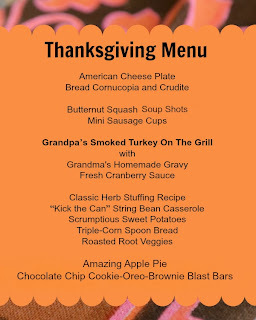 SO what am I up to this year--plans are made for Thanksgiving--involving extended family--more cooks to share the fun. Grands--a traditional menu--I am looking forward to the day. 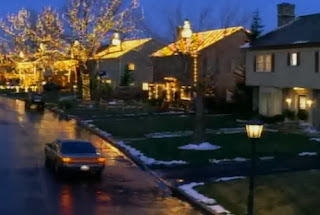 Christmas---we tend to not think too far in the future in our family-so your guess is as good as mine. A long time friend shared with me that she provides the groceries for the holiday meal for families of soldiers who are struggling financially. "My way of saying thank you." What a great idea! I have always bought one of the prepackaged sacks at the grocery that are distributed to those in need by local care agencies. I have a friend in R who volunteers with the local Christian Community Action--providing food for the needy. 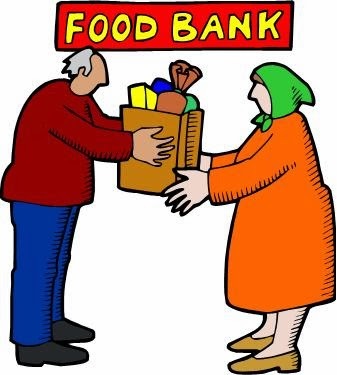 Here in the Big City there is a food bank that distributes food --you can donate or you can volunteer. How much easier will your huge meal go down knowing you have shared with someone that might not have had this same blessing? In a nutshell---eat and cook what makes you happy. So stuck in the quicksand of grief that you cannot begin to think about preparing a meal--no need for worry. They have places you can go eat all your favorites and not lift a finger. You want to be together as a family---share the load--you do not have to shoulder the entire burden. Cherish what is sweet--relish in the sweet memories of holidays past--focus on those around you. The menu is not what is important--relationships are important. God created us to be in relationships---His desire is for us to model those relationships after His relationship with us. Savor the flavor of the love you are surrounded with--enjoy the sweet aroma of fellowship and fill yourself with the bond of sweet memories as you are sated by the community of loved ones. Do not get hung up on the menu---it is not important--the ingredients of love, kindness, service, family, friends, sharing---they will all combine into the best menu possible.